For anyone working to provide cleaning services within a healthcare environment, it goes without saying hand hygiene should be top of mind. The truth is up to 80 per cent of infections are transmitted by hands; as soon as you touch a door, you risk becoming contaminated from the people who have used the door recently. Breaking this cycle is pivotal in terms of infection control as washing your hands only provides you with a certain amount of protection if you then touch a contaminated door. It’s vital to ensure there are plenty of gel dispensers in toilet areas and in places where food is served or prepared such as canteens and kitchens. Make sure you have soap available at any sinks and facilitate an easy way to dry hands, such as disposable towels or a hand dryer. Communal towels aren’t hygienic and could put some people off from washing their hands. Research shows only one in three people clean their hands after they sneeze or cough into them. By providing cleaning staff with tissues, and having them placed within easy access in the healthcare facility, there’s more chance people will use these to catch germs instead of their hands. Holding workshops or seminars for your cleaning staff on the benefits of optimising hand hygiene will work wonders as the reality is, shaming people into compliance is a powerful tool. No one will want to admit to being in the group of people (according to some studies, 95%) who don’t wash their hands after going to the toilet. Then you can sit back and watch compliance improve as people do all they can to avoid falling into the wrong group. Measuring compliance is a powerful incentive for staff as they will understand the link to improved hand hygiene, so inform your cleaning staff members that you’re monitoring soap consumption and/or gel usage. 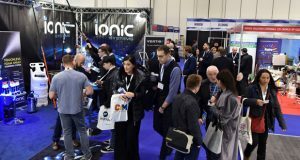 Indeed, according to the World Health Organisation, monitoring hand hygiene compliance is of crucial importance to help give you feedback regarding defective practices and even provide data for any outbreaks. Some innovative electronic systems exist which provide the automatic monitoring of hand hygiene compliance and collect data very effectively. 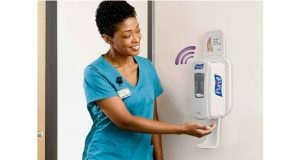 Boosting awareness of hand hygiene, promoting hand washing and the use of hand gels in a healthcare environment are all powerful factors in improving compliance. But it could be time to look at introducing other technical measures to compliment these practices. Disruptive and game-changing products are being manufactured that could provide a key weapon in the battle against the spread of infection; whether it’s flu or other healthcare microbes such as MRSA. Surfaceskins manufactures special push pad products available, which replace aluminium door plates – these secrete a tiny amount of anti-bacterial gel when touched to go through the door. The anti-bacterial gel kills any bacteria that you may have deposited on a standard doors and kills any bacteria that you may have picked up form a standard door. We’re also looking at manufacturing door handles injected with the same gel could also provide an effective solution. 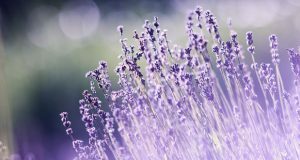 A scientific paper on the efficacy of Surfaceskins, was published in the Journal of Hospital Infection last year. Scientists challenged both Surfaceskins and normal aluminium door plates with hands that were contaminated with bacteria at the levels seen in hospital staff. Over a seven day period, the study concluded that Surfaceskins door pads were far more effective than standard door plates in reducing the levels of bacteria. In fact, the study showed Surfaceskins reduced bacteria levels by more than 90 per cent even after six days’ use. It’s important to note that these door pads are by no means a replacement for handwashing. Rather, they are designed to provide an extra line of defence by helping hands remain clean after being washed thoroughly with soap, or using hand gel. 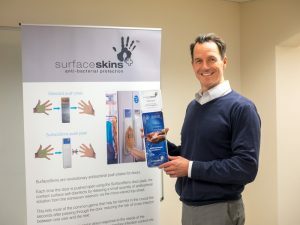 Surfaceskins help break the contamination chain because instead of people washing their hands and then pushing a contaminated door, they are putting their hand onto a disinfected surface instead. So by boosting hand washing practices and introducing technical hygiene-focused measures to your healthcare facility, you’ll be going a long way towards boosting overall hand hygiene and cutting infection rates dramatically.